As Netherrealm’s first real foray into next-gen territory let’s find out if Mortal Kombat X has what it takes to appeal to the new and old fan’s alike, or is this just an accidental kick to the shin in the place of a fatality? 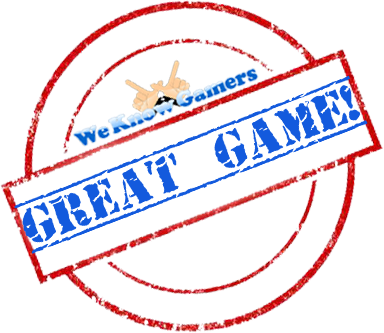 Thanks to the revival of arcade fighters a small number of years back, we have seen great titles one after another by a number of big studios. One such studio is Netherrealm (previously WB Games Chicago and before that Midway Games) the team behind the ever-popular Mortal Kombat series. So let’s get a few obvious things out of the way, the game is going for a more ‘realistic’ art style, gone are the exaggerated proportions of the female cast and they also seem to have discovered something closer to the concept of clothes, although that last point can be subject to change with DLC. Speaking of DLC, Netherrealm has decided to partially use the pay-to-win model by introducing ‘Easy Fatality’ coins, through them a fatality can be performed without memorizing the sequence of buttons usually required, but instead with two buttons. They also have DLC available to unlock the entire ‘Krypt’ without earning koins and unlocking items one by one. Though these are optional methods I feel that they are fair simply because they don’t offer an advantage to players, thankfully you still can’t buy skill or hours spent in training mode. There are a total of 23 characters currently available, each with 3 ‘variation’s’ available to them, a variation is exactly what it sounds like and gives each character 3 unique forms, not in appearance, but in the special moves and combo’s available to them. Each variations can compliment a certain play style, for example if you focus the entirety of your being to throwing the kitchen sink at your opponents from the other side of the screen then using a variation that grants you enhanced fireballs may be to your advantage. 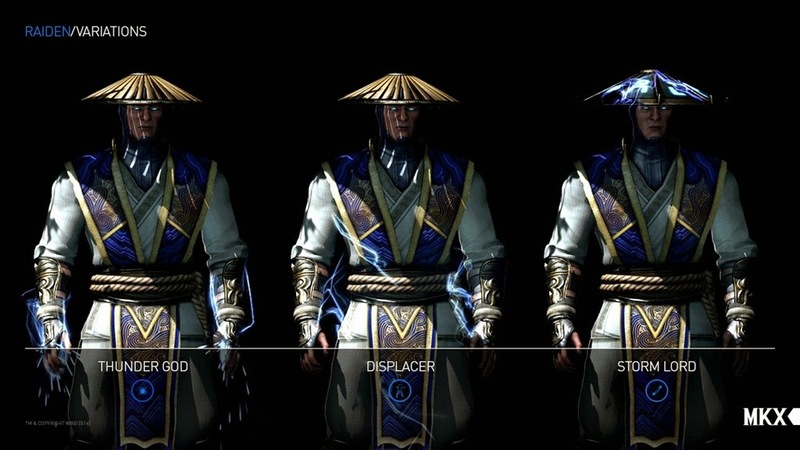 The three different variations for Raiden. The user interface has also been re-hauled opting for function over form and going for a minimalist design, fitting very well within the style of the game and adding to the cinematic feel without colourful distractions in the foreground or background. One thing that impresses me about the offerings of this studio is the rich and cinematic storytelling and that seems to be a focus of the game. Even during single player fights, the characters greet each other and what they say depends on the opponent giving each of them depth and almost the sense of being individuals who have come across a confrontation rather than just two video game characters. This rich attention to detail is apparent throughout the whole game, from the single player campaign all the way through to the gruesome X-ray’s which give a glimpse of the internal damage being done to the characters on screen accompanied with sound design that often has you wincing in pain regardless of whether you are the one receiving or giving. For fighting game enthusiasts a whole host of information is given in the pause menu including very easy and clear access to the command list as well as frame data for each and every normal and special. The events of the campaign are held (mostly) 25 years after the previous instalment, for those who are not familiar !SPOILER! Shao Kahn, one of the more prominent antagonist’s of the series is ultimately defeated by Raiden (Thunder God, deep voice and glowing blue eyes can’t miss him really) however, with his defeat comes the loss of many of the hero’s who are then revived as Quan Chi’s cronies, ala Darth Vader, and the rise of Shinnok a fallen elder god from the Netherrealm. 25 years later it seems four of the original cast now have some sort of descendant’s, Cassie Cage, Jacqui Briggs, Kung Jin and Takeda Takahashi as they aspire to claim glory for their ancestors in Mortal Kombat. 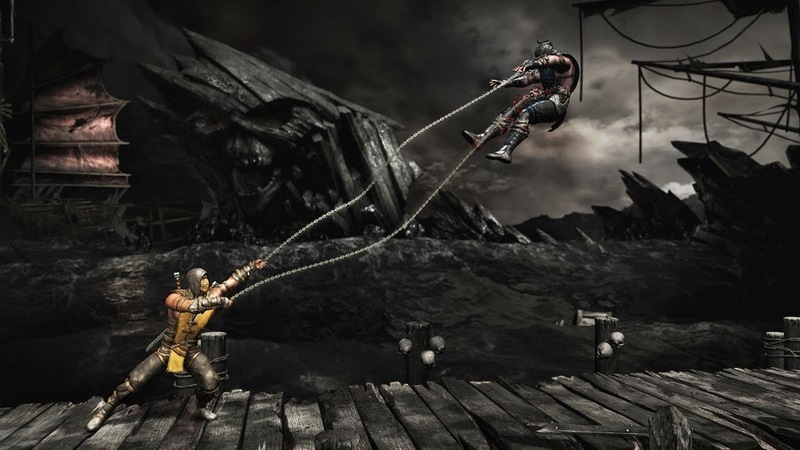 The campaign mode of Mortal Kombat X like it’s predecessor consists of filling a character’s shoes for 4 matches as the events of the story unfold, some of the older characters receive no love in this regard but it makes sense as I guess they’re not technically alive, instead the focus is on the newcomers to the series. 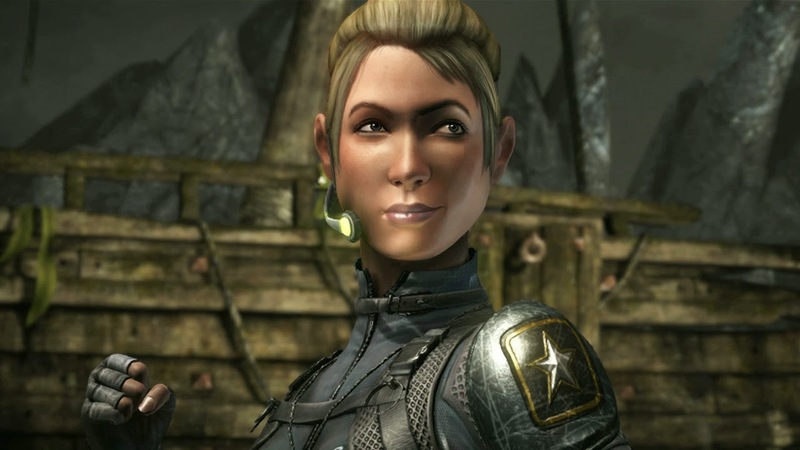 The daughter of Sonya and Johnny Cage. The backstory of each newcomer is explored as you progress, although it could be a little more interactive rather than the occasional quick time events that haunt the cutscenes from time to time. Not all characters are playable during the campaign mode as you may be given a certain character again with a different variation. This is probably done to encourage the use of the new characters as Shinnok is only unlocked after completion of the campaign. Having played the previous instalment as well as Injustice, I feel that Mortal Kombat X is certainly a step in the right direction. The pacing is quicker than the others and fights have a good flow. There is a comprehensive training mode which encourages newcomers and veterans alike, combo’s are easy to pull off without the need of split-second timing and chaining together large combo’s is satisfying particularly when they’re accompanied with a bone-crunching X ray. The visuals are fantastic, during single player matches the dirt, grime, sweat and blood are almost eerily realistic and the player models get damaged as they battle with what looks like more variety than the previous Mortal Kombat. There is also a good selection of detailed stages to choose from each with it’s own interactive elements adapted from Injustice:Gods Among Us and the mechanic fits right in. This time around they’re not as cheap and can be blocked or evaded with a little skill, they also don’t do as much damage but can be used to create some unique combos. There’s also a stamina meter, which is depleted when back dashing and interestingly, sprinting. Sprinting is a very unique mechanic which I feel adds to the gameplay greatly, allowing players to sprint across the screen instead of forward dashing multiple times, this keeps the action tight though I have not seen much use of it yet, I feel that it will catch on and can be used to keep an opponent relying on ranged attacks at bay. Many of the modes from the previous Mortal Kombat make a return such as towers, test your luck and test your might. There are also ‘Living towers’ which are special towers, which change after a certain amount of time. These have a small twist such as test your luck matches may show up or test your sight. They can also allow you to use DLC characters without purchase giving you the option of trying before you buy. Also included are a range of online modes pulled from Injustice, such as king of the hill and survivor. Connection quality is usually good and matchmaking is fast both ranked and unranked games. A new mode included in the game is Faction mode, it is an integral part of the game and in fact the first screen you see will be asking you to choose your faction out of 5 possible choices. You are then given the chance to participate in faction battles to contribute points towards your faction. 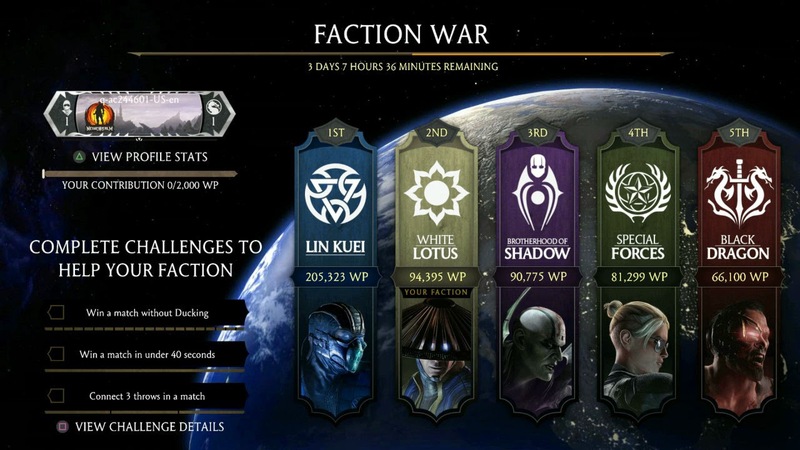 Although currently it seems the Lin Kuei is the go to choice making any other choice un-rewarding. NetherRealm have vastly improved what Midway games had started with the Mortal Kombat series. As with their previous fighting games, it seems that they are taking what works, improving what doesn’t and giving the fans what they want while staying true to their vision. Mortal Kombat X is truly a next-gen game, the graphics are mind blowing with perspiration and dirt building up on the characters skin’s as you fight. The same holds true for the visual effects and environments. The sounds of bones crunching and muscles ripping often make you grit your teeth, as the great soundtrack sets a good mood. 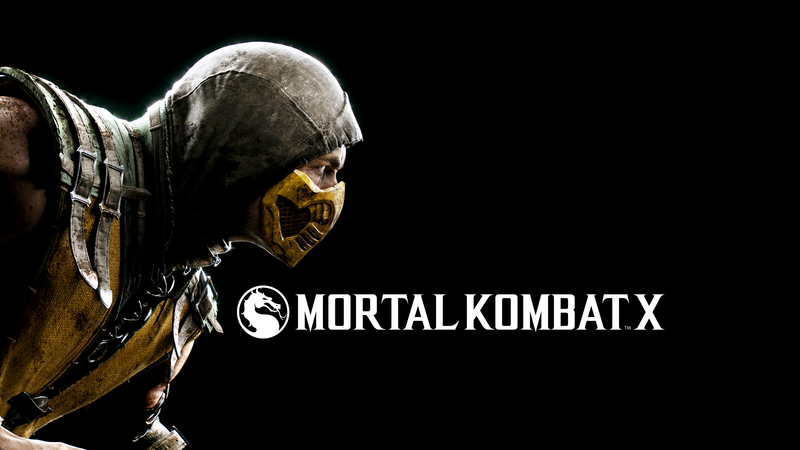 The story mode is short and sweet, with a shocking amount of depth and thought, each character is successfully introduced and characters fighting abilities are also well balanced, although I will be setting up a petition to get scorpion banned from the game for ridiculous levels of cheap.